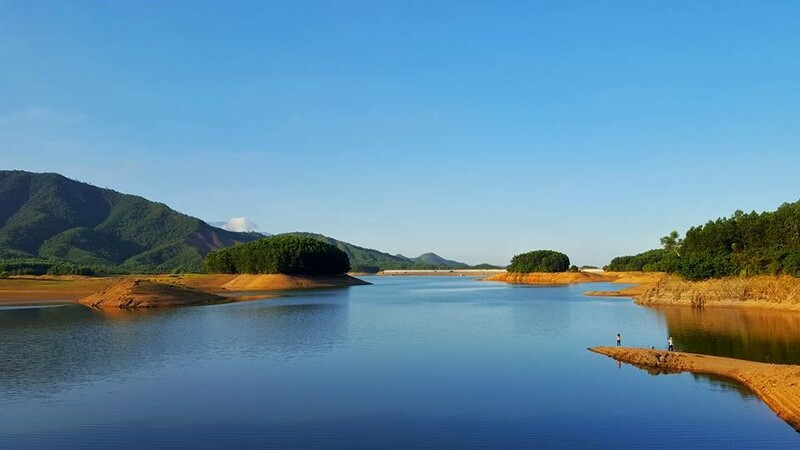 The Hoa Trung Lake, locating in Hoa Vang District around 20 kilometers from Da Nang, has an 86-hectare water surface during the wet season. In the dry season, starting in summer and lasting until late winter, it is reduced to small streams, with the uncovered land soon filled with hectares of grass. Herds of cows find their way to the lakebed, enjoying their favorite meal in the soft breeze, while cowherds kill time by either fishing in the streams or taking a nap on the green grass. Couples flock to the place to take photographs and enjoy a romantic time in the immense place. The only thing you should worry about is your shoe getting stuck in the soft mud, but even that is not without its fun.